Located in Mitte, the historical heart of Berlin, the office here is one of our largest. Our teams here are business and tech focused and include legal, finance, and HR as well as product and engineering. 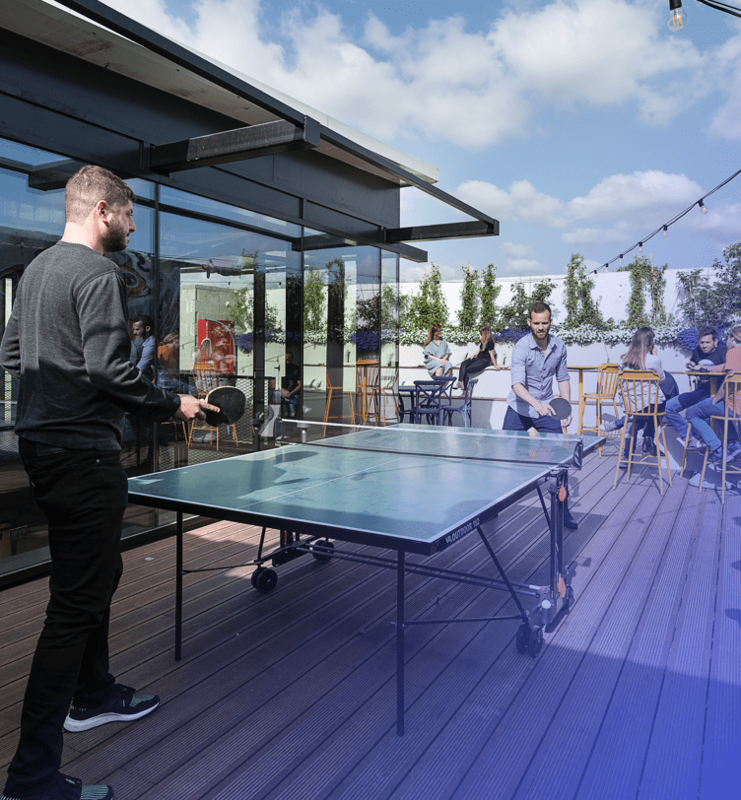 Home to Fyber’s Israeli office, this location is part of a thriving community of numerous other tech companies and startups. Teams in this office include product, finance, marketing, engineering, and HR. Centered in one of the world’s most significant tech hubs, our San Francisco office shares its neighborhood with many other influential tech and gaming companies. This office is home to sales, marketing and solutions engineering teams. 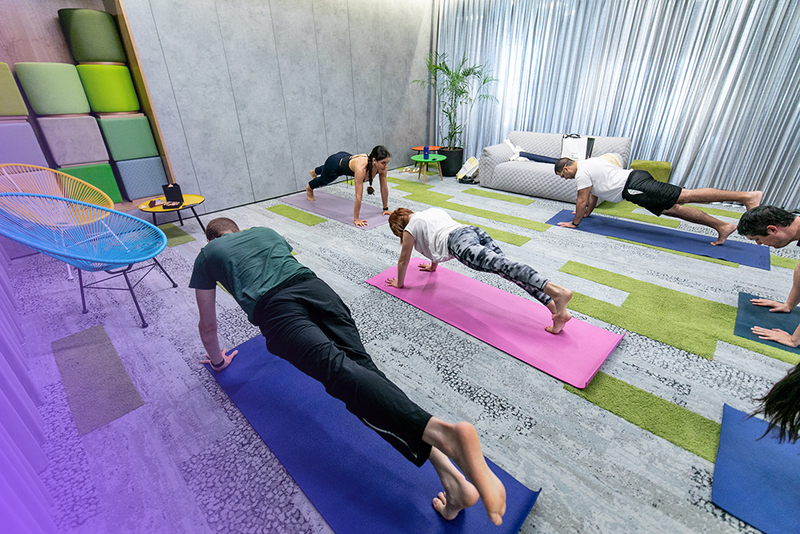 Situated in the lively neighborhood of Sanlitun, our co-working office here sits among some of the most popular places to eat, drink and shop in Beijing. This office serves our APAC region and is seeing rapid expansion as the Chinese ad tech market takes off. Located in London Wall at the biggest WeWork building in EMEA, our office has a contemporary vibe with an on-site cafe and skyline terrace view. The team in this office consists of sales, business development and account managers. 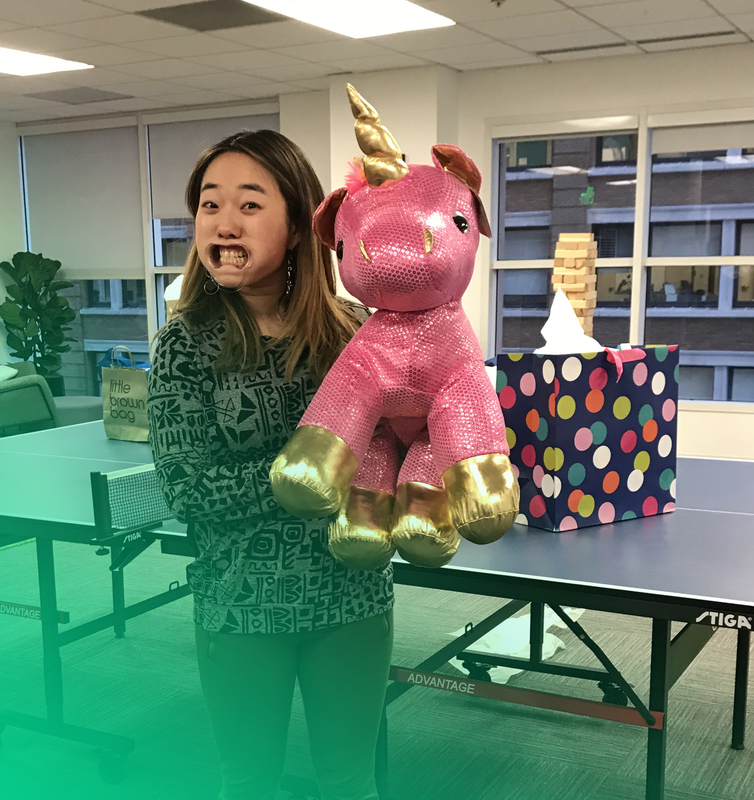 Located in Midtown Manhattan with a beautiful view of the Empire State Building, our New York office is part of a vibrant co-working community and is home to teams in sales and marketing. Our South Korea office is centrally located in the heart of Seoul in Gangnam district; a strong hub for the country’s financial and technology industries. Fyber is a global technology company, developing a next-generation monetization platform for mobile publishers. Fyber combines proprietary technologies and expertise in mediation, RTB, video and audience segmentation to create holistic solutions that shape the future of the mobile app economy. Our vision is to create a world in which people have affordable access to quality content, while enjoying a pleasant, relevant user experience. Fyber is the powerful combination of 4 leading ad tech companies with complimentary publisher-focused technologies and capabilities, enabling us to introduce a range of truly innovative solutions packaged into a single mobile publisher platform. Our mission is to empower mobile publishers to unlock the true value of their properties by building a holistic, efficient, frictionless monetization environment. We are looking for a Publisher Account Manager to become an active member of the international supply team. The Publisher Account Manager will be the focal point of contact to our partners to optimize and increase revenues and manage all daily activities. In this role, the AM will manage day-to-day contact with Fyber`s top publisher clients to deliver value to the accounts through revenue lift, working with the professional teams to ensure quality integrations and optimize customer satisfaction.The ideal candidate should have the following characteristics: team spirit, professionalism, can-do approach, initiative, enthusiasm, great analytical skills, sales orientation, ability to take direction and work effectively within a team, excellent written and oral communication, ability to prioritize tasks and proper time management in a start-up environment. The person will report directly to the EU Account Manager Team Lead. Strong analytical and problem solving skills, regarding to technical, contractual and financial issues. Learn and grow with some of the best experts in the mobile industry. Work with a high-growth, software company (with over 350 employees worldwide). Join a friendly, culturally diverse team (+35 nationalities) where people live values like dedication, team spirit, mutual respect and accountability. Fyber is looking for an energetic Demand Account manager based in Israel to help fuel the next phase of the company’s growth. The Demand Account Manager will be a member of the Global Business team. In this role, he/she will help develop and manage existing demand partner relationships while growing revenue. We’re looking for a highly motivated, self-starter who is passionate about the mobile ecosystem and is eager to develop relationships with direct app developers and agencies. Fyber is an equal opportunity employer. You are welcome to our Fyber team no matter your gender, race, color, ethnicity, nationality, religion, sexual orientation, age, disability, family status or any other matter. Fyber is looking for an Intern to join our Business Department. We’re looking for a highly motivated, self-starter who is passionate about the mobile ecosystem. As well, attention to detail, ability to receive guidance and work effectively within a team, strong analytical skills, English proficiency, and the ability to prioritize and work effectively in a global start-up environment. We are looking for a Programmatic Demand Manager to become a productive member of the US Programmatic Demand Team. The Programmatic Demand Manager will handle and managing Fyber’s integrated strategic demand partners, serve as the main point of contact to the client, optimize and increase revenues, work with the Sales Engineers to ensure optimal integrations, and deepen the activity with Fyber’s publisher team. Qualified candidates must have the following characteristics: professionalism, sales orientation, initiative, enthusiasm, ability to take direction and work effectively within a team, strong analytical skills, excellent written and oral communication skills, and the ability to prioritize and properly manage time in a global start-up environment. Strong analytical and problem solving skills with respect to technical, contractual and financial issues. Fyber is looking for a Publisher Development Manager. The role is part of the Sales organization, working closely with the Sales team. We are currently looking for an experienced Development Manager* for our Publisher team, with experience in the mobile app ecosystem, who will help to grow adoption of our platform. This is a highly visible role which is responsible for forming new publisher partner relationships and helping secure any and all of our partners’ inventory. As a platform that supports almost every major ad format, the potential partner list is long and robust. The individual will prospect, sell, meet, and close mobile app developers. The ideal candidate will have direct experience in establishing strategic partnerships outside the office while inspiring others across the team to deliver meaningful results. Additionally, this role will provide valuable feedback, direct from our clients to sales engineering, product, marketing, and others. Work closely with account management to ensure proper account handoff and set the team up for success of further growth. Learn and grow with some of the best experts in the mobile industry. Work with a high-growth, software company (with over 350 employees worldwide) in the heart of Berlin. Join a friendly, culturally diverse team (+35 nationalities) where people live values like dedication, team spirit, mutual respect and accountability. We are currently looking for an experienced Development Manager (m/f/d) for our Publisher team, with experience in the mobile app ecosystem, who will help to grow adoption of our platform throughout the region (DACH, Nordics, and Benelux). Fyber is the powerful combination of 4 leading ad tech companies with complimentary publisher-focused technologies and capabilities, enabling us to introduce a range of truly innovative solutions packaged into a single mobile publisher platform. Fyber's Sales Manager Demand will work with agencies, direct advertisers and brands to achieve campaign targets, and will be focused on winning new business, in order to grow Fyber’s direct advertiser base. The candidate will be a dynamic sales representative with a proven track record in mobile, direct and/or programmatic sales. The Sales Manager Demand will ultimately gain an excellent understanding of of Fyber's mobile advertising ecosystem as well as the direct publishers it monetizes. Develop deep relationships with new and existing clients to establish Fyber as a strategic mobile partner. At Fyber, we believe in the power of free apps. And we believe that smart advertising drives sustainable app monetization. We are dedicated to helping developers capture this opportunity and are investing for the long term to build the technologies and platforms that will fuel the app economy of the future. Join us to make our vision a reality. Culture Days - All employees receive 2 days per year, on top of their regular time off and holidays – to celebrate their birthday and/or holidays outside of the office list and/or to volunteer and to contribute to the community. Fyber is looking for an enthusiastic sales/business development leader to join our Publisher Sales team in New York. Develop relationships with key influencers and decision-makers at leading mobile developers in order to achieve aggressive quarterly sales goals. Be on a constant lookout for new avenues and opportunities to grow revenue by leveraging the strengths of Fyber’s product suite. Work cross-functionally on an ongoing basis with Publisher Account Management & Sales Engineering to deliver world class client services and maximize value for new sales prospects. Synthesize and articulate client requirements and feedback to help shape our product roadmap. Represent Fyber at industry conferences and events; participate in industry speaking opportunities. Become an expert in market intelligence tools such as AppAnnie, Apptopia and Sensor Tower to prospect new leads. 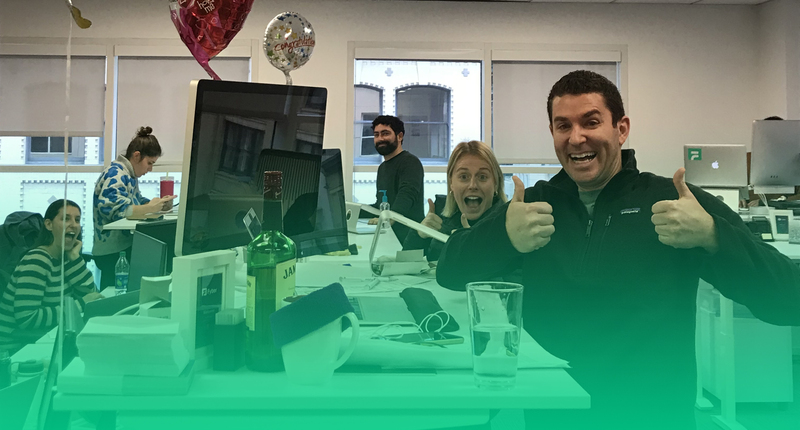 Fyber is expanding its direct sales team in London and is looking for a User Acquisition Sales Manager with an outstanding track record in digital media sales, and a passion for the app ecosystem to help us grow our advertising business in the UK. TheUser Acquisition Sales Manager's main focus will be to sell Fyber’s proposition and build deep relationships with the top App Developers, App Advertisers, Mobile Agencies, Media Agencies and Trading Desks in the UK. We are looking for a highly motivated, hungry, self-starter who will prospect, cultivate, negotiate and close mobile advertising deals. Drive maximum mobile advertising revenues coming from user acquisition campaigns (CPI, CPE, CPA etc..) within the UK market. Build and maintain robust relationships with app developers and direct brands. Be a source of knowledge and inspiration to clients and colleagues. Work independently to generate and maximize revenues from the direct clients and agencies. You must be able to think strategically about your patch and identify opportunities for growth whilst working with all global internal teams at Fyber to achieve this. Establish relationships with decision makers and generate direct sales. Handle contract negotiations and business development. Articulate Fyber’s overall business objectives and value proposition to the advertising community. Support the AM team with up-selling opportunities and ensure clients receive superior customer service. Maintain accurate records of all sales and prospecting activities including sales calls, presentations, closed sales, and follow-up activities within the assigned territory. Work towards quarterly and annual sales goals and plan. Adhere to all company policies, procedures, and business ethics codes and ensures that they are communicated and implemented within the team. Minimum of 3 years of experience selling digital/mobile advertising to app developers and brands. Highly connected, with proven contacts/relationships in the mobile advertising ecosystem especially at app developers, brands and media agencies. Experience of performance advertising and user acquisition campaigns. English native speaker. Additional language like French is a plus. Ability to establish and maintain effective working relationships with managers, employees and clients. Highly articulate and strong communication skills (verbal and written). We are currently looking for a Working Student Accounting* to support our Accounting and Treasury department in Berlin. *Please feel welcome in our Fyber family, no matter what gender you are! We are looking for an experienced Product Manager to raise the bar with one of the fastest growing global players in Ad Tech. We offer a fast and dynamic work environment in one of the most interesting, and rapidly growing space in the tech industry today – Mobile Digital Advertising. The Product Manager’s primary focus is Offer Wall and data products of the Fyber platform. 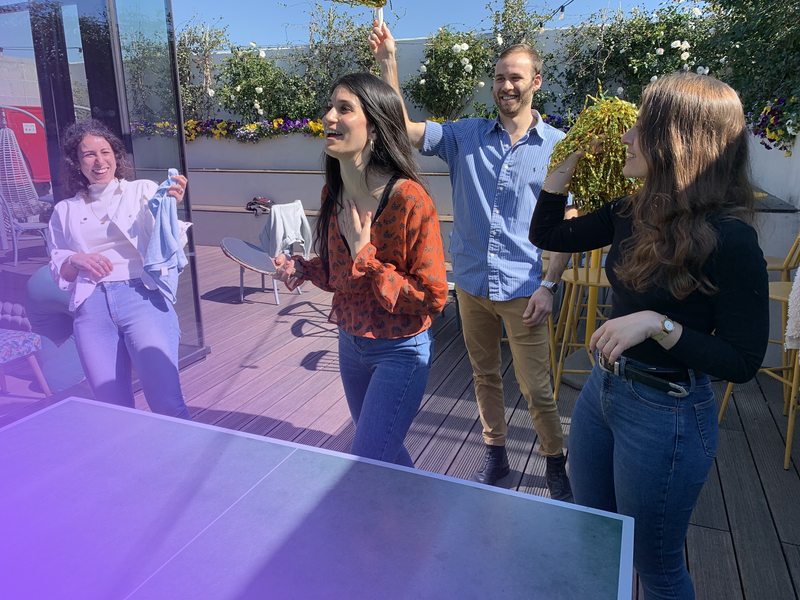 We are looking for a creative and passionate technical individual that will join Fyber’s Mobile product team and drive its SDK innovation and growth while disrupting the market with in-app header bidding and transforming all primary ad networks to programmatic. This transformation has significant implications on our SDK architecture and our technical integration/business model with our mediation networks partners. 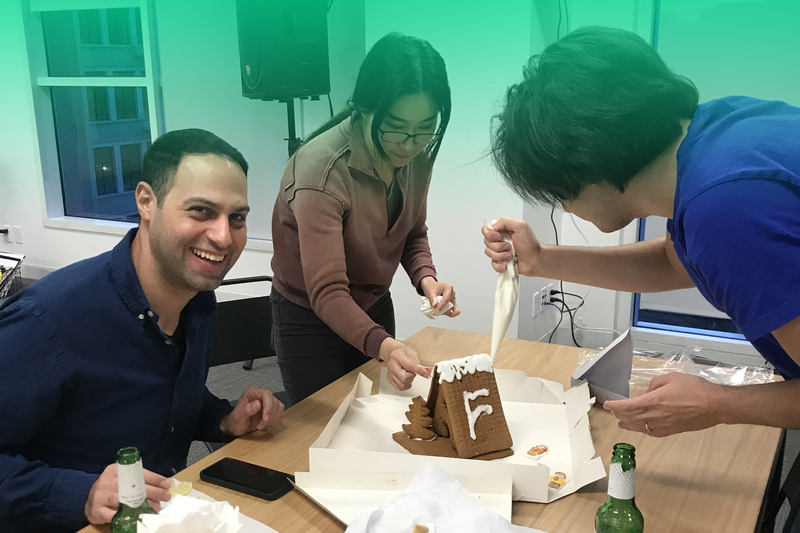 As the mobile product manager, you will work closely with our product and R&D teams in Israel and remotely with our Business and R&D teams in Berlin, New York, San Francisco, Beijing and London. Fyber is one of the fastest growing global players in the Ad Tech industry. Fyber’s platform serves more than 1.2B MAUs who engage through Fyber FairBid SDK integrations within 10K+ apps in various verticals like Gaming Apps, Content Publishers, and Social & Messaging apps over 180+ countries, specializing with online video and rewarded ads. Manage day to day product development with your R&D teams (Product Owner role), working with agile/scrum methodology. Translate vision into detailed product roadmap & backlog. Detail the product backlog into well defined user stories/PRDs. Oversee and control the product release cycle, identify and act proactively to solve bottlenecks, raise flags, report clearly on owned product. Meet with customers and partners to obtain deep market understanding and requirements. Define the metrics and KPIs used to measure success and health of your product. Work with programmatic demand partners to obtain their requirements in the area of rich media and video ad rendering. 2-5 years of experience in a product management role. At least 2 years experience in working with R&D teams. Strong knowledge with Mobile technology. Experience in online/ mobile industry - especially in the ad-tech space – big advantage. Strong experience of product roadmap /backlog/ PRDs. Experience in app development/ development tools. Experience with rich media/ video players/ streaming - advantage. Excellent English written and verbal communication. A true team player with great interpersonal and communication skills. A results oriented approach with the ability to prioritize organizational objectives with strict deadlines. Data oriented and driven, sharp analytical skills. Working in a global environment and multi-geographical teams - advantage. Bsc. in computer science or equivalent technology degree. 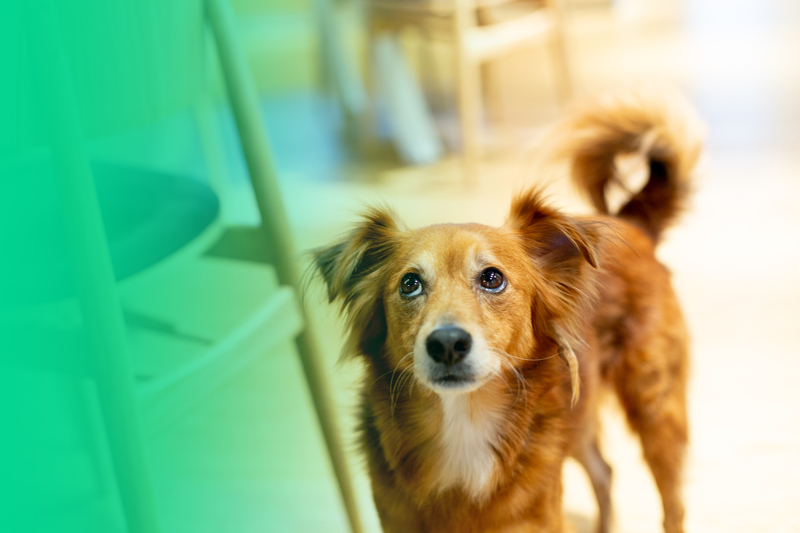 Fyber's R&D team is looking for a talented and experienced Server Tech Lead. The candidate should bring with him a broad set of technology skills, ability to design and analyze complex systems and understand them from end to end. Fyber is looking for a DevOps Engineer to lead the production life cycle of a large scale distributed system, as a member of the DevOps team. Built with cutting-edge server-side technologies, Fyber's system handles tens of billions of events daily, generating terabytes of data. The DevOps Engineer will be responsible for all operational aspects of the production, staging, QA and Dev environments, managing about 2,000 servers and multiple clusters in Big Data technologies and DB ecosystem. Administration of MySQL and in memory DB clusters such as Memcached, Redis, VoltDB, Aerospike, etc. Fyber is looking for a passionate, highly-skilled and tech-savvy Solution Engineer (SE) to join our UK hub. A strong candidate would demonstrate a strong sense of responsibility, flexibility, dedication to high-quality standards, and would have a combination of technical and consulting skills. If you are looking to join a leading company in the fastest growing industry around, then this is the perfect opportunity for you. Fyber is looking for a passionate, highly-skilled and tech-savvy Solution Engineer to join our growing team. A strong candidate would demonstrate a sense of responsibility, flexibility, dedication to high quality standards, and would have a combination of technical and consulting skills. If you are looking to join a leading company in the fastest growth industry around, then this is the perfect opportunity for you. A Tech position at the R&D department (not including code writing). Troubleshoot and investigate technical issues raised by technical and non technical stakeholders. 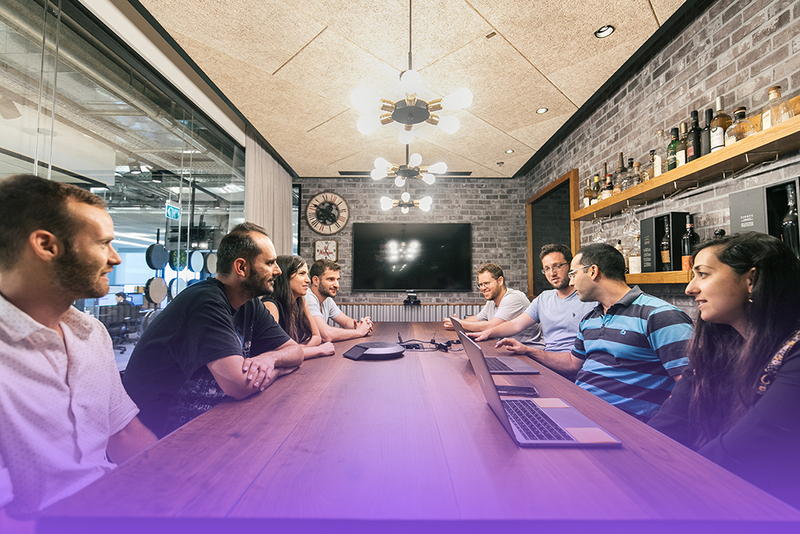 Fyber is looking for a passionate, highly skilled and tech-savvy Technical Services Engineer to join our growing Technical Services team at our Israeli office. We offer a fast tempo, dynamic work environment in one of the most interesting, and fast-growing space in the tech industry today – Mobile Digital Advertising. Qualified candidates must have the following characteristics; professionalism, deep programming knowledge, good data analytical skills, and the ability to prioritize and time manage in an entrepreneurial environment. - Develop and maintain integrations with Fyber’s partners. - Conduct cross product debugging, deploy code changes, write unit and system tests. - Troubleshoot and investigate technical issues on both client side and server side. - Identify and flag new feature requests to the product and R&D departments. - Liaise with various departments within company to quickly resolve tech-related issues. - Strong understanding of mobile advertising concepts and protocols: OpenRTB, VAST, MRAID, etc. - Previous experience in the ad tech industry. - Familiarity with some of the following technologies: AWS, DataBricks, Druid, GrayLog, Jira, Jenkins or similar. Fyber is looking for a passionate, highly-skilled and tech-savvy Sr. Solutions Engineer (SE) to join our San Francisco office. A strong candidate would demonstrate a strong sense of responsibility, flexibility, dedication to high quality standards, and would have a combination of technical and consulting skills. At least 4 years of experience in software development. Preference to experience within the Ad - Tech industry. Culture Days - All employees will be eligible for additional two paid days off, on top of their regular time off, These days may be selected by you for one of the following reasons: Volunteering, Birthday's week, local protesting initiative, holidays. Fyber is looking for a passionate, highly-skilled and tech-savvy Sr. Solutions Engineer (SE) to join our New York office. A strong candidate would demonstrate a strong sense of responsibility, flexibility, dedication to high quality standards, and would have a combination of technical and consulting skills. Looking for a different position? By submitting my job application I hereby agree to Fyber's recruitment privacy notice.